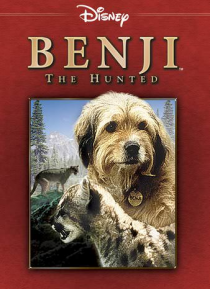 Benji, the world's most popular canine actor, faces his toughest challenge in this extraordinary film. Lost at sea and washed ashore in the rugged backwoods of North America, Benji inadvertently becomes the guardian to an orphaned litter of cougar cubs. Together, they dodge untold perils from man and beast in an amazing odyssey to reach safety. BENJI: THE HUNTED has all the earmarks of a live acti… on Disney classic: breathtaking scenery, an exhilarating story, and an endearing hero you and your family will never forget.